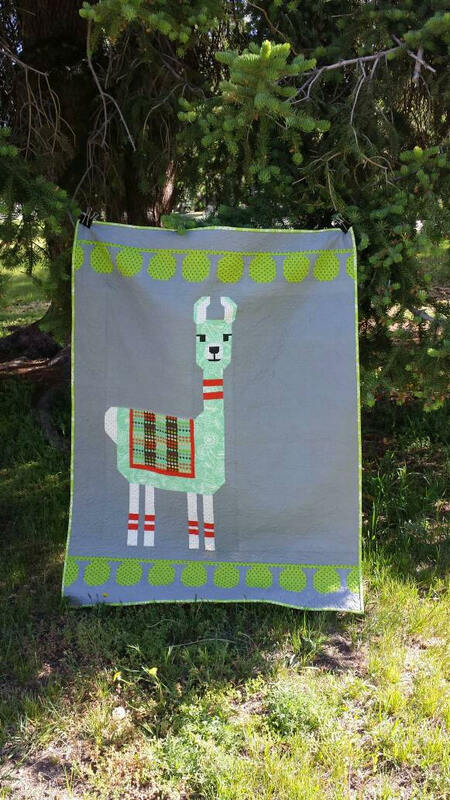 Adorable llama quilt kit in a small size you can make to comfort one of those sweet kids you know, or hang on the wall. 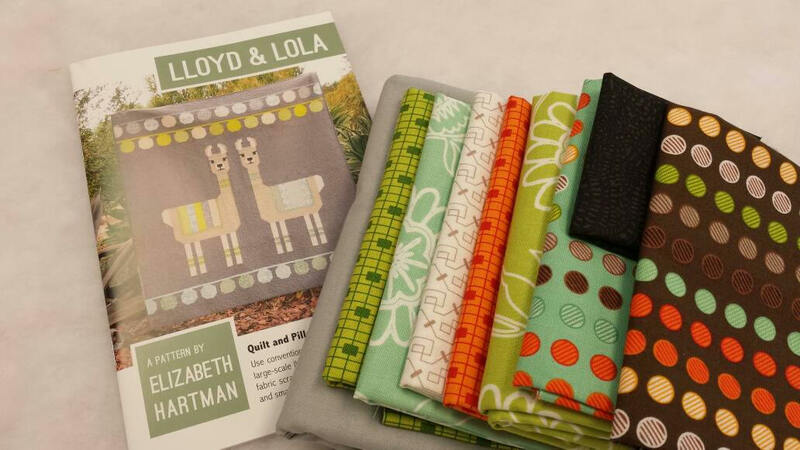 This is the first Elizabeth Hartman project I've done and I really liked the cutting directions which use a building block method from each piece of fabric. I quilted this one pretty tight using a medium weight batting and I really liked the drape, you might want to try this too. If you would like to add backing to your order, send me a message and I'll fix you up with something good. 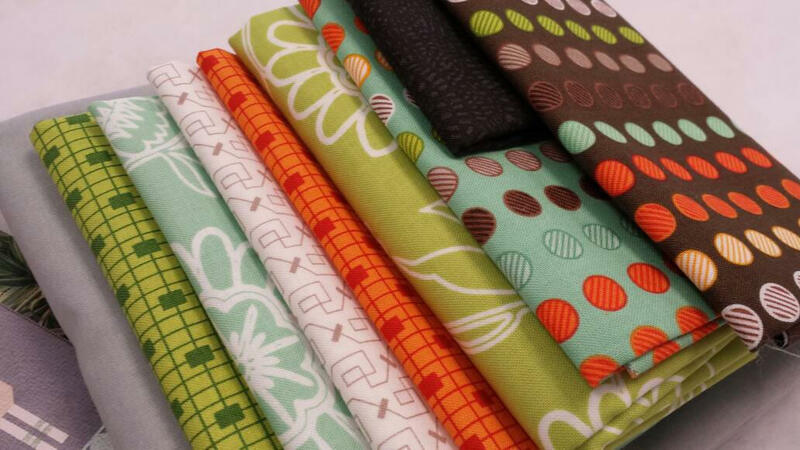 The background gray fabric is from American Made and the rest of the quilt fabric is from Henry Glass Fabrics. 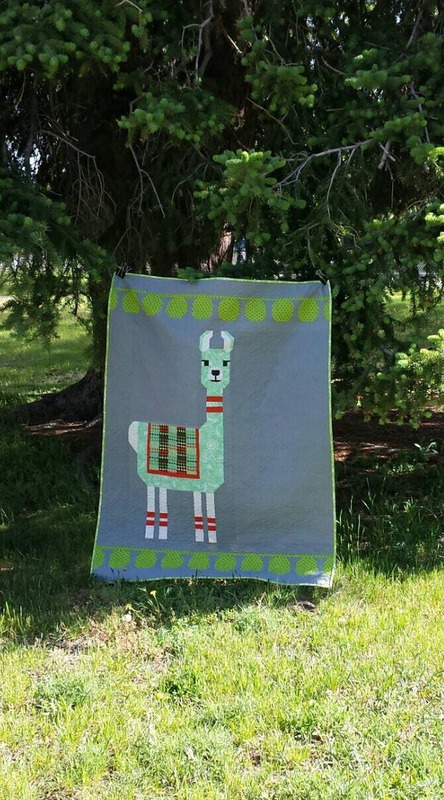 Those dots on the llama blanket fit perfectly! 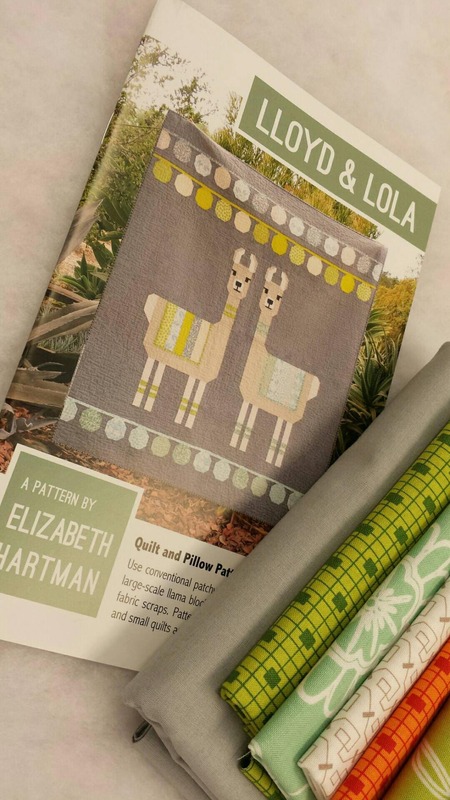 Enjoy this quilt project using this quilt kit.